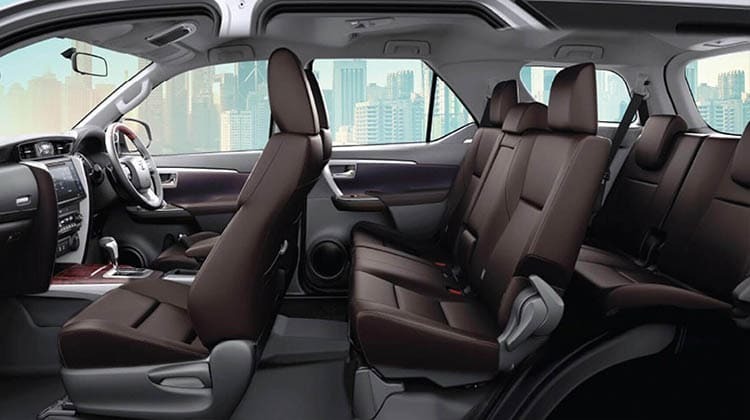 Toyota Innova Crysta 8 seater feels and looks more premium compared to cars in the same segment. This all new Innova model has improved styling, automatic transmission, enhanced feature list and more power. Some of the major features in this vehicle are rectangular double barrel headlamps, 2.5-litre turbo-diesel engine, air conditioner, heater, cruise control, dual front airbags, knee airbags, 4.2-inch TFT Multi-Information Display, 7-inch touch-screen system with DVD player, dedicated AC vents for the second and third row. This new Innova makes a statement with its style. The eye-catching front grille gives an impressive and imposing look. Sporty side molding and bold alloy wheels give a sporty fun to every ride. 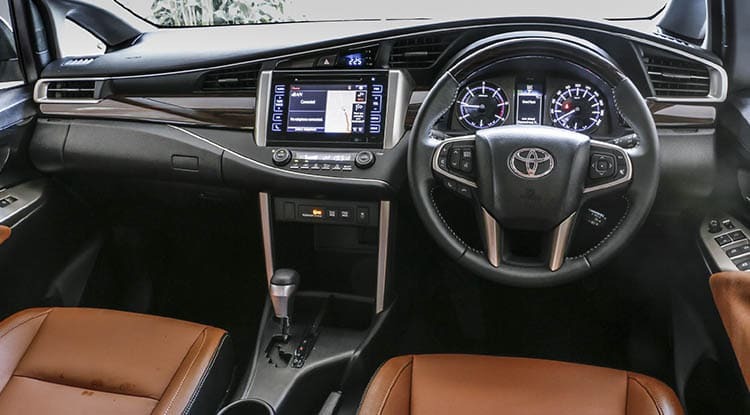 While the wood finish steering wheel and leather seat covers are the hallmark of stylish interiors. Do you want to enjoy a wonderful group tour..???? Hire Innova Crysta on rental basis. We have a well-maintained fleet of Innova cars along with highly skilled drivers who act as your guide during the tour. The rental price for such MPV’s is reasonable and services will surely match your expectations. 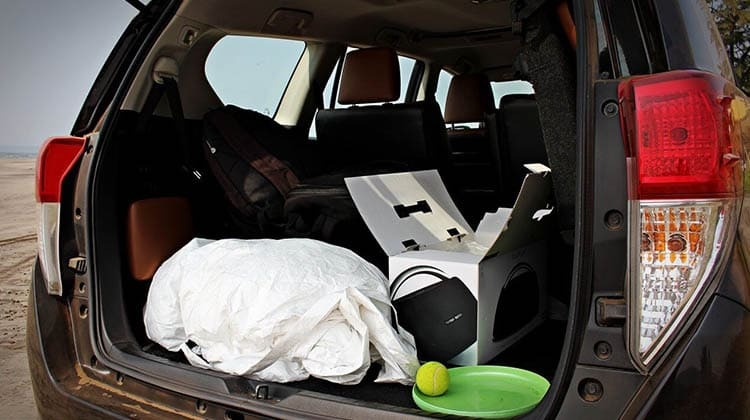 This MPV has a capacity of accommodating 5 people plus a driver. 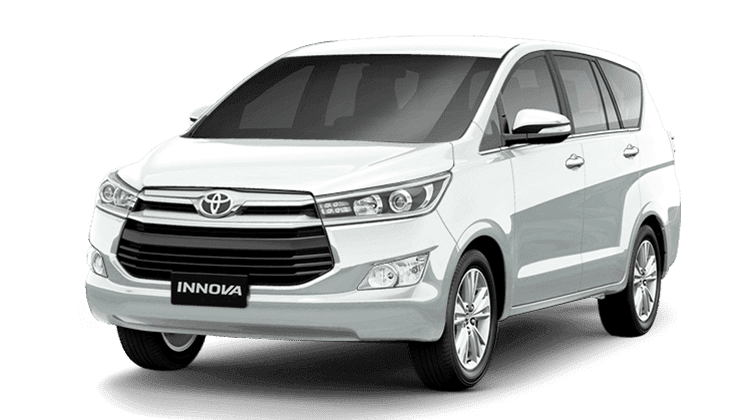 So, if you want more information about Toyota Innova Crysta rental service then get in touch with the travel experts of our company through email or phone call. Heritage means which you get in hereditary as it is in our blood to serve the people and we serve the people by providing best car rental service In Jaipur, we have best and luxurious cars in our agency from mini cars like swift desire to luxurious cars like Mercedes our cars are luxurious but we assure you that it definitely fits your pocket. Our motto: Customers Satisfaction and Smile on their Face is the only thing we wants to Earn, Heritage Car Rental Service is spreading their wings not only in Pink City but in all over India too.